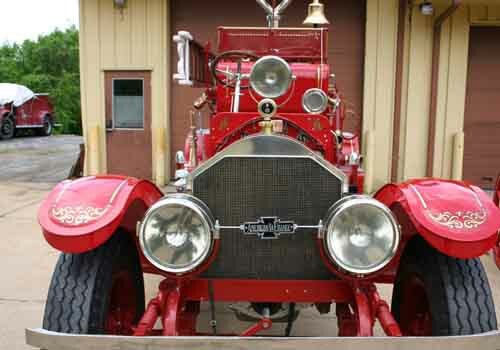 On August 29, 1925 the City of Providence Rhode Island took delivery of a new motorized firefighting apparatus. The truck was 1 of 5 total that were ordered from the American LaFrance Fire Engine Company of Elmira New York. This truck would serve the city of Providence for 40 years. When the streets became cobblestone in Providence, the truck was sent back to Elmira to be fitted with new wheels. The cobblestone streets were bouncing the fireman off of the tailboard. 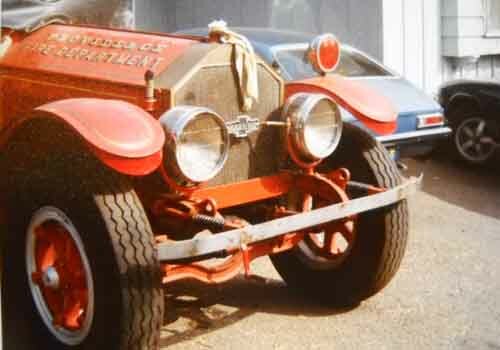 The new wheels were made of steel and wood with inflatable tubes. It was returned to the city and served until its retirement. At its retirement it became the property of a fire chief or past fire chief of the department. 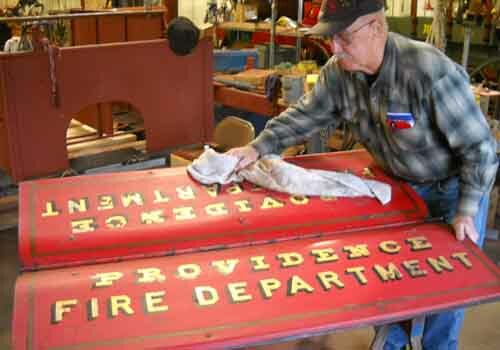 He wanted to restore the fire truck to its former condition. 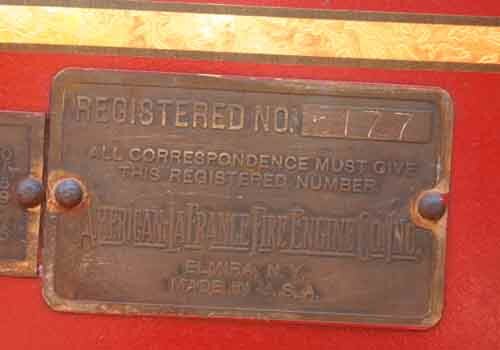 After his passing the fire truck was sold to a friend of the family and moved to Los Angeles California. 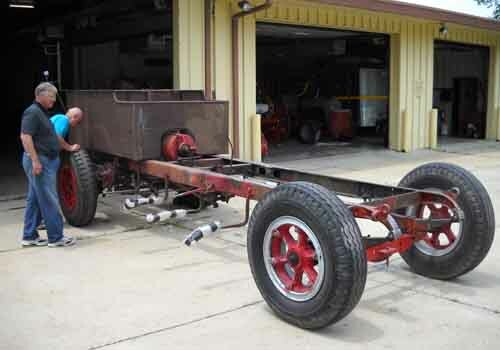 Here some minor restoration took place on the nickel parts of the Fire Truck. The truck was also disassembled at this time. 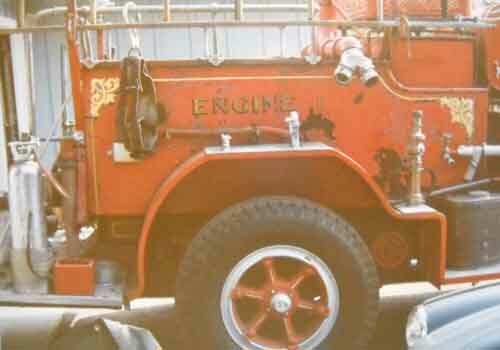 In the late 70’s early 80’s Mr. Randal Andre purchased the fire truck for $5,000, also with the intention of restoring it. He then moved from California and purchased property in the Femme Osage Valley in Missouri. The property was the former home of historical figure, Daniel Boone. Mr. Andre moved the truck with him to Missouri. He remembers it cost him $1200 to ship the pieces of the fire truck. 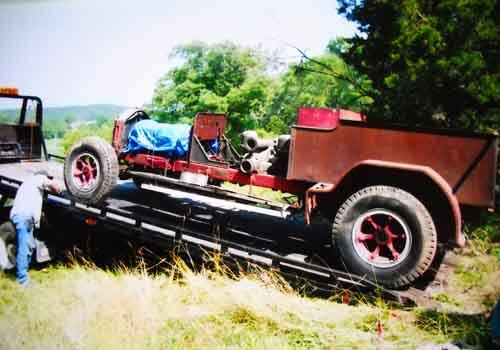 The truck then sat for almost 20 years in Missouri on the Daniel Boone Home property. 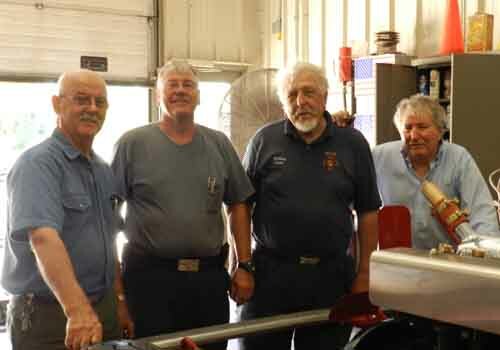 Mr. Andre wanted to see the truck restored so he donated it to Boles Fire Co #1 historian, Charles Staats. It spent 7 years getting pieced back together in a barn on Charles’ property. 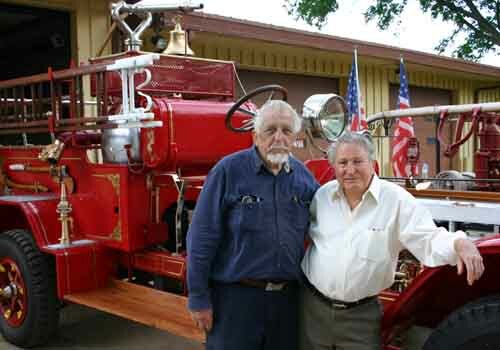 Then in 2010 the Boles Fire Protection District provided a space for a future fire history museum. From 2010 to 2014 multiple people worked on the truck under supervision from historian Staats and Mr. Andre. 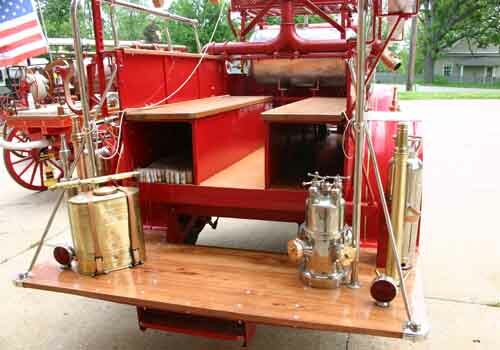 On June 21, 2014 they drove the restored fire truck to a “grand reveal” at the Fire District Safety Day. 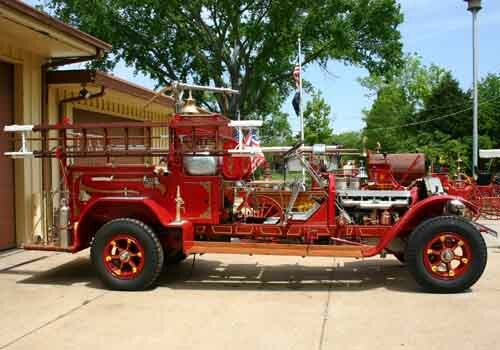 After traveling thousands of miles, the restored 1918 American LaFrance has now found it’s home at the Boles Fire History Museum in Villa Ridge Missouri. Any additional information on this truck is greatly appreciated. Please email us!